Many individuals may get a cavity at some point in their lives, even those who practice good oral hygiene on a daily basis. When the structure of a tooth has become damaged due to decay, a filling is the most common restorative treatment. At Pittsford Dental Excellence Center, we prefer to use composite fillings for areas of decay. The dentist will make sure your mouth is numb before the procedure. Then, he will remove the decay from the tooth, thoroughly clean the area, and apply a special adhesive that will bond the composite filling directly to the tooth. Once the filling is in place and cured using ultraviolet light, the dentist will shape and smooth the filling to give it a natural look. A composite filling has several advantages over the amalgam fillings, also known as metal or “silver” fillings that have been the industry standard in past years. Strength – Because a composite filling is bonded directly to a tooth, it is much less likely to crack or fracture the tooth. 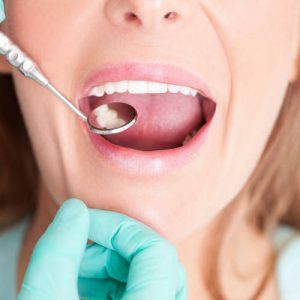 Composite fillings expand and contract along with your natural tooth during temperature changes that occur in the mouth when eating and drinking. These temperature changes cause amalgam fillings to expand and contract at a different rate than the tooth, which can fracture a tooth or cause the filling to leak over time. Aesthetics – Silver fillings create unsightly “dark spots” in a person’s smile that can make them self-conscious. Composite fillings, by contrast, can be colored to match the look of your natural teeth. Safety – Did you know that amalgam fillings contain a significant amount of mercury? Mercury exposure can create health risks, especially for patients with a compromised immune system, an unborn fetus, and children. Composite fillings contain zero mercury; they are made of glass or quartz filler, mixed with a resin medium. If you need dental fillings, consider Pittsford Dental Excellence Center to experience the composite difference. We can also replace your old silver fillings with composites to restore your smile. Want to learn more? Call our Pittsford, NY office today at (585) 248-2575.